Part glazed ceramic pot resting on three legs. There's a spotted detail on the glazed part of the pot. 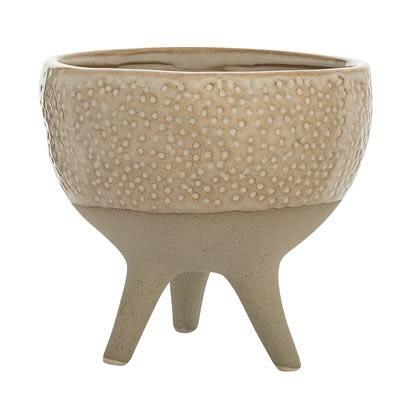 Ideal for either a trailing plant or succulent.